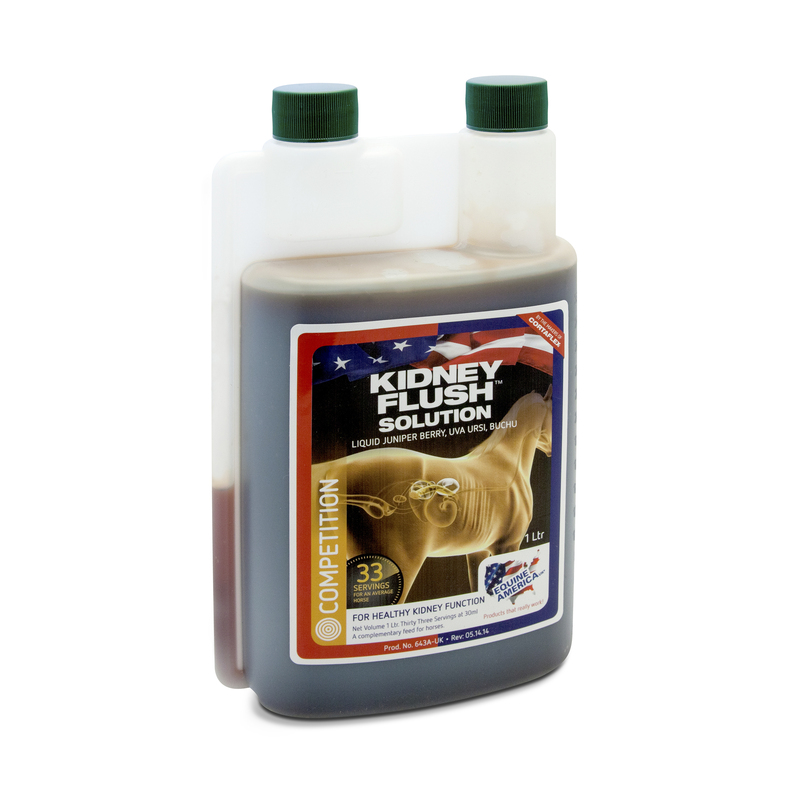 Kidney Flush Solution (previously Dye-Retic) from Equine America is a complementary solution which supports a healthy kidney function in horses when combined with a balanced diet. The bottle is used by squeezing the bottle to fill up the measuring section, which makes pouring out the correct amount easy. Nutritional Additives: Juniperus Communis - 49,300/kg, ArctoslaphylosUva Ursi (Uva Ursi) - 49,300mg/kg, Barosma Betulina(Buchu) - 49,300mg/kg. Feed for 3 consecutive days at 30ml per day. Thereafter: 30ml once a week. Below are some recent questions we've received regarding Equine America Kidney Flush Solution for Horses, including answers from our team. Is this a good product to use? have a 23 year old cob and feel with cushings and sometime seems struggling to wee maybe, would this be a good idea. had a vet and said nothing wrong with bloods or his willy. It is not clear what exactly the problem is with your horse, but this product would be a reasonable one to try. If problems persist, you should try and assess the situation as accurately as possible and discuss it with your vet. Hopefully it will clear up soon if you use this product anyway.